recovery | Live Healthy S.C.
GREENVILLE, SC (FOX Carolina) – As a firefighter and EMT, Chris Hearn has seen a lot. “When you’re actually doing it, I guess adrenaline kicks in and you don’t think about it,” Chris Hearn said. He’s a firefighter with the Boiling Springs Fire Department in Greenville County and has worn the uniform for more than 20 years. “It just comes natural,” he said. He hopes a day like the chaos and mass shooting in Las Vegas never happens in the Upstate. However, if it does he and other firefighters are ready. FOLLY BEACH — New erosion has added to the island’s post-storm woes. The beach near the pier has “scarping.” It drops o a foot or more close to the sea. Three days of steady northeast winds and strong surf played a role. “Any setback right now is bigger than it would be otherwise just because of what we just went through,” said Mayor Tim Goodwin. Tropical Storm Irma caused severe erosion when it hit in mid-September. Dunes from the east to the west end of the island were reduced or destroyed. Goodwin said the beach loss was worse than from Hurricane Matthew a year ago. This entry was posted in Environment, Public Health and tagged Boiling Springs Fire Department, DHEC, EMT, firefighter, Folly Beach, Irma, Las Vegas, mass trauma, recovery, South Carolina, South Carolina Department of Health and Environmental Control, triage kits on October 4, 2017 by SC DHEC. After a traumatic event, emotional and physical reactions are different for each person. It is typical to react to a stressful event with increased anxiety, worry and anger. Americans consistently demonstrate remarkable resilience in the aftermath of disasters and other traumatic events. Check in with family members and friends to find out how they are coping. Feeling stressed, sad, and upset are common reactions to life changing events. Recognize and pay attention to early warning signs of more serious distress. Your children, like you, will have reactions to this difficult situation; they too may feel fearful, angry, sad, worried, and confused. Children will benefit from your talking with them on their level about what is happening, to get your reassurance, and to let them know that you and they will be okay and that you will all get through this together. Getting support from others, taking care of yourself by eating right, getting enough sleep, avoiding alcohol and drugs and getting some exercise can help to manage and alleviate stress. If these signs and symptoms continue and interfere with daily functioning, it is important to seek help for yourself or a loved one. If you or someone you care about needs help, you should contact your health care provider to get connected with trained and caring professionals. The number for the Substance Abuse & Mental Health Services Administration’s Disaster Distress Hotline is 1-800-985-5990, and it’s staffed 24 hours a day. It is important to seek professional help if you need it. For more information, please click here. This entry was posted in Community Health, Emergency Preparedness and tagged anxiety, depression, emotional health, flood, mental health, recovery, South Carolina, worry on October 12, 2015 by SC DHEC. Have a Septic Tank and Not Sure What To Do After Flooding? Whenever the water table is high or your sewage system is threatened by flooding, there is a risk that sewage will back up into your home. The only way to prevent this backup is to relieve pressure on the system by using it less. Do I pump my tank during flooded or saturated drainfield conditions? No! At best, pumping the tank is only a temporary solution. Under worst conditions, pumping it out could cause the tank to try to float out of the ground and may damage the inlet and outlet pipes. The best solution is to plug all drains in the basement and drastically reduce water use in the house. What are some suggestions offered by experts for homeowners with flooded septic systems? Locate any electrical or mechanical devices the system may have that could be flooded to avoid contact with them until they are dry and clean. Do not dig into the tank or drainfield area while the soil is still wet or flooded. Try to avoid any work on or around the disposal field with heavy machinery while the soil is still wet. These activities will ruin the soil conductivity. Prevent silt from entering septic systems that have pump chambers. When the pump chambers are flooded, silt has a tendency to settle in the chambers and will clog the drainfield if it is not removed. Use common sense. If possible, don’t use the system if the soil is saturated and flooded. The wastewater will not be treated and will become a source of pollution. Conserve water as much as possible while the system restores itself and the water table falls. Flooding of the septic tank will have lifted the floating crust of fats and grease in the septic tank. Some of this scum may have floated and/or partially plugged the outlet tee. If the septic system backs up into the house check the tank first for outlet blockage. Clean up any floodwater in the house without dumping it into the sink or toilet and allow enough time for the water to recede. Floodwaters from the house that are passed through or pumped through the septic tank will cause higher flows through the system. This may cause solids to transfer from the septic tank to the drainfield and will cause clogging. Aerobic plants, upflow filters, trickling filters, and other media filters have a tendency to clog due to mud and sediment. These systems will need to be washed and raked. What if my septic system has been used to dispose wastewater from my business (either a home-based or small business)? In addition to raw sewage, small businesses may use their septic system to dispose of wastewater containing chemicals. If your septic system that receives chemicals backs up into a basement or drainfield, take extra precautions to prevent skin, eye and inhalation contact. The proper clean-up depends of what chemicals are found in the wastewater. Contact DHEC or EPA for specific clean-up information. 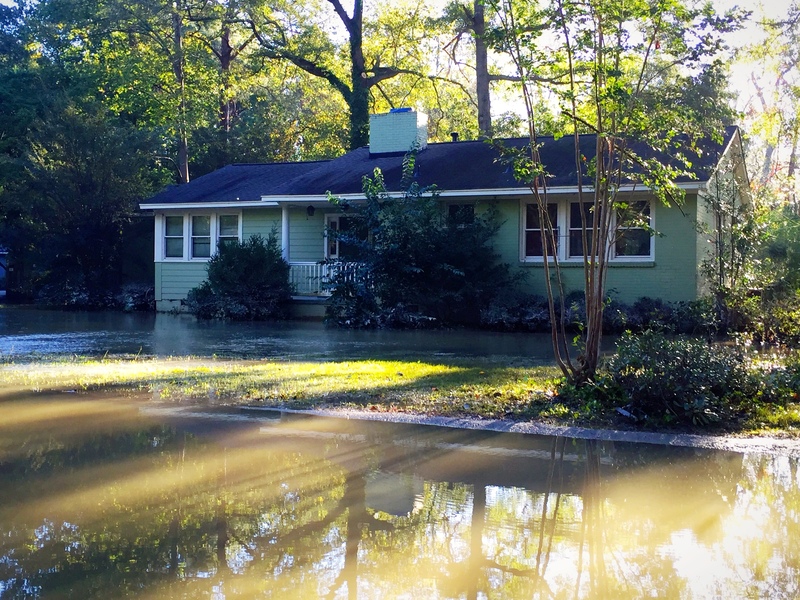 What do I do with my septic system after the flood? If your septic tank has overflowed, visible solids should be disinfected with lime and cleaned up. Be sure to wash your hands throughly when finished. Boil water before drinking until you have disinfected and tested your well. Contact DHEC. Do not use the sewage system until water in the soil absorption field is lower than the water level around the house. Have your septic tank professionally inspected and serviced if you suspect damage. Signs of damage include settling or an inability to accept water. Most septic tanks are not damaged by flooding since they are below ground and completely covered. However, septic tanks and pump chambers can fill with silt and debris, and must be professionally cleaned. If the soil absorption field is clogged with silt, a new system may have to be installed. Only trained specialists should clean or repair septic tanks because tanks may contain dangerous gases. Contact DHEC for a list of septic system contractors who work in your area. If sewage has backed up into the basement, clean the area and disinfect the floor. Use a chlorine solution of a half cup of chlorine bleach to each gallon of water to disinfect the area thoroughly. Pump the septic system as soon as possible after the flood. Be sure to pump both the tank and lift station. This will remove silt and debris that may have washed into the system. Do not pump the tank during flooded or saturated drainfield conditions. At best, pumping the tank is only a temporary solution. Under worst conditions, pumping it out could cause the tank to try to float out of the ground and may damage the inlet and outlet pipes. Do not compact the soil over the soil absorption field by driving or operating equipment in the area. Saturated soil is especially susceptible to compaction, which can reduce the soil absorption field’s ability to treat wastewater and lead to system failure. Examine all electrical connections for damage before restoring electricity. Be sure the septic tank’s manhole cover is secure and that inspection ports have not been blocked or damaged. Check the vegetation over your septic tank and soil absorption field. Repair erosion damage and sod or reseed areas as necessary to provide turf grass cover. Click here to find your local DHEC Environment office. Additional resources may be found on the EPA’s website or CDC’s website. 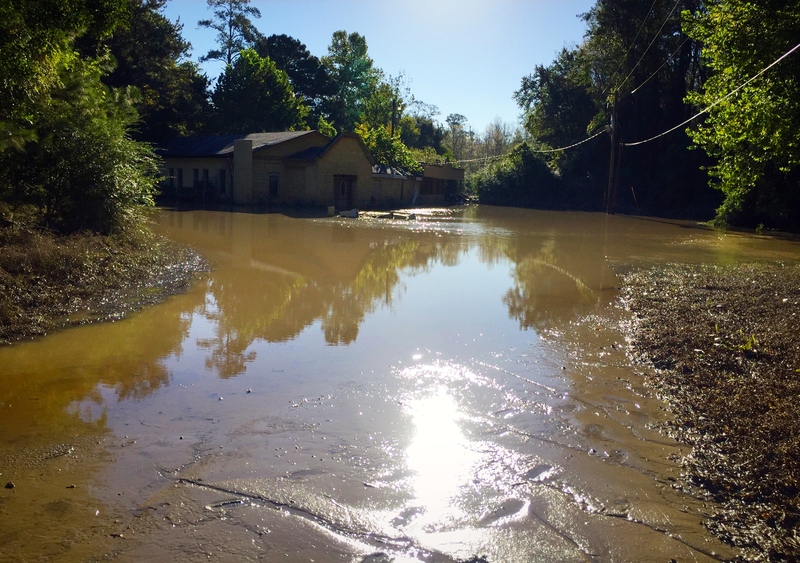 This entry was posted in Disease Control, Emergency Preparedness and tagged assessment, clean-up, flood, recovery, septic tank, South Carolina on October 11, 2015 by SC DHEC.